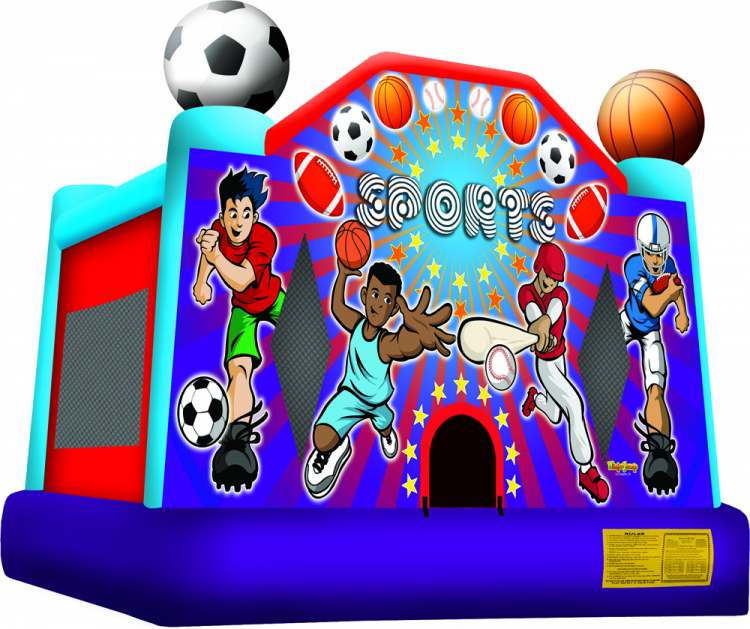 For all those boys and girls who love sports this bounce house is the perfect way to combine fun and healthy activity. 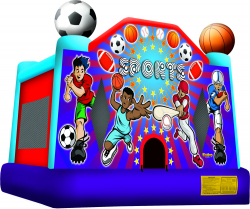 The Sport Bounce has 225 square feet of bouncing area, adding value to any party rental, either inside or outside. With a variety of colors, shapes and themes, this offers kids of all ages exciting aerobic activity. This jumper has 360-degree mesh windows, so parents and spectators can have a clear view of all the fun.